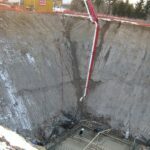 The Regional Municipality of Halton Status: Completed 2008 Consultant: UMA Engineering Ltd. formerly KMK Consultant Ltd. 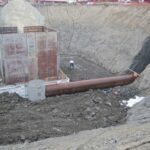 This project consisted of the construction of a new sewage pumping station, including a separate control building and wet well. 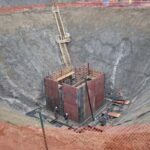 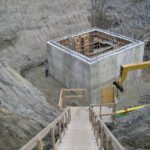 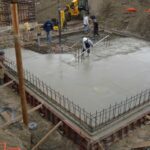 The wet well, installed by our heavy civil construction team, included dimensions of 11 meters x 11 meters x 14 meters of cast-in-place reinforced concrete. 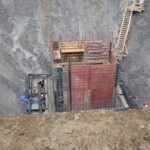 The walls were 900mm thick at base and 600mm at top with a 1 meter thick base slab, as well as 500mm suspended slab at grade. 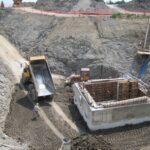 A separate control building, including concrete foundation and basement level to accommodate transfer piping was constructed, with masonry cavity wall construction on the upper level for the control and generator rooms. 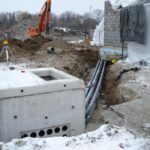 Supply and installation of all mechanical systems, including yard piping, new inlet sewer, supply and installation of four (4) – 90HP submersible pumps, plumbing heating ventilation etc. 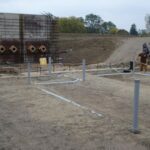 was performed, as well as the supply and installation of electrical and control systems that included new MCCs, VFDs, and new a 400 kW generator. 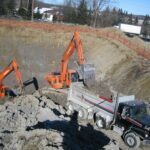 Our team coordinated all site work including asphalt, fencing, landscaping features, etc. 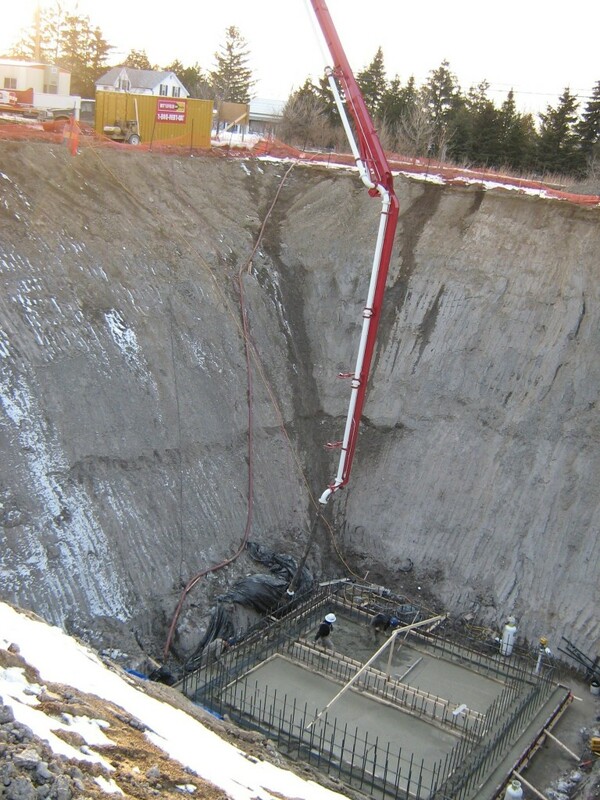 ; all civil and mechanical work was self-performed.